Kim got a bright idea, "Let's have obedience and agility classes at the sanctuary and ask for volunteers to help train our dogs that are waiting for new homes!" 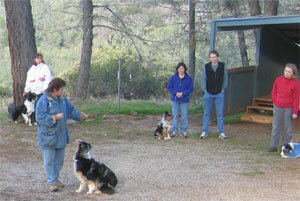 She knew Nancy has a truly special gift at training and asked her to teach the classes. Fourteen people came for obedience! 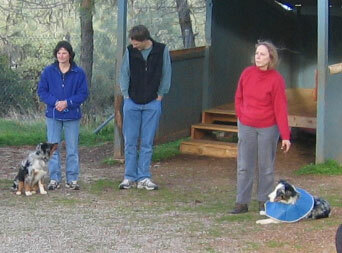 9 rescue dogs participated and 5 people brought their own dogs. Especially touching were Ginger and Bailey. Ginger met Bailey 45 minutes before class and Bailey wanted no part of being near her. 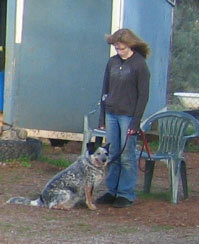 Ginger's gentle coaxing and determination turned Bailey around and he was soon "eating out of her hand." 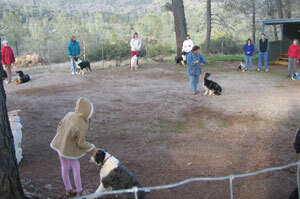 Boris, Elsa, Sky, Kiska, Spike, Winnie, Daisy and Finn all participated and had a good time. 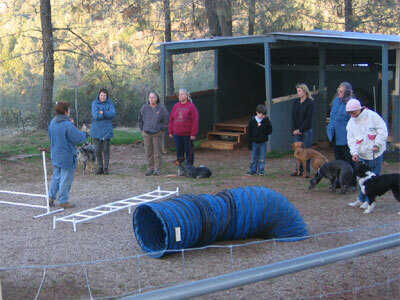 Agility class was also full and all participants were successful with jumps, tunnel and table! Our volunteers are exceptional and we are very grateful. 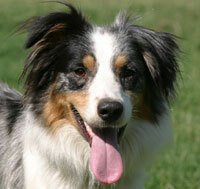 The classes are free for volunteers who take a rescue Aussie through either class. Folks taking their own dog were asked for a donation.